300 hi-tech huts equipped with modern gadgets were set up in Vedic Tent City at Kumbh Mela for saints, devotees and visitors. Put in to three categories on the level of conveniences, they were named ‘Narmada Kuti’, ‘Sabarmati Kuti’ and ‘Saraswati Kuti’. The tent city also has an open restaurant. Considering that event is held during winter, the ‘huts’ have electric water heaters among other amenities. 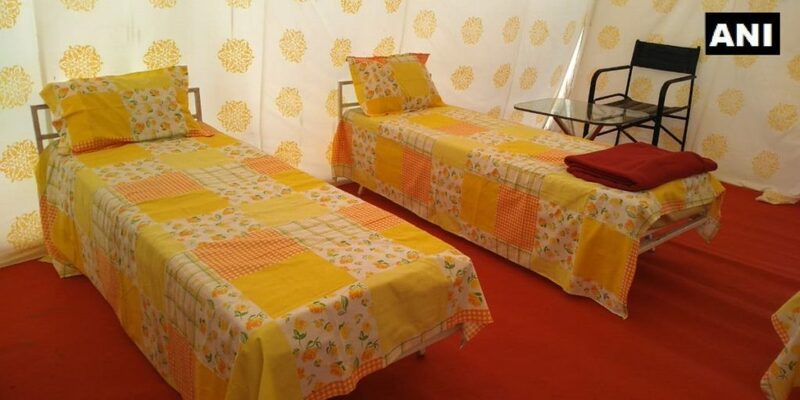 This is the first time that such special accommodation has been arranged at Kumbh.The entire Kumbh Mela was spread in 3,200 hectares.